In August 2014, Habib University opened its doors to its first batch of students. A very new institution, the university had not yet fully completed its construction. Even so, 109 students chose to enroll, earning themselves the name the Co-Founders. In four short years, these students went above and beyond what was expected of them. 84 students graduated, 32 with degrees in Science and Engineering, and 52 with degrees in Arts, Humanities, and Social Sciences. 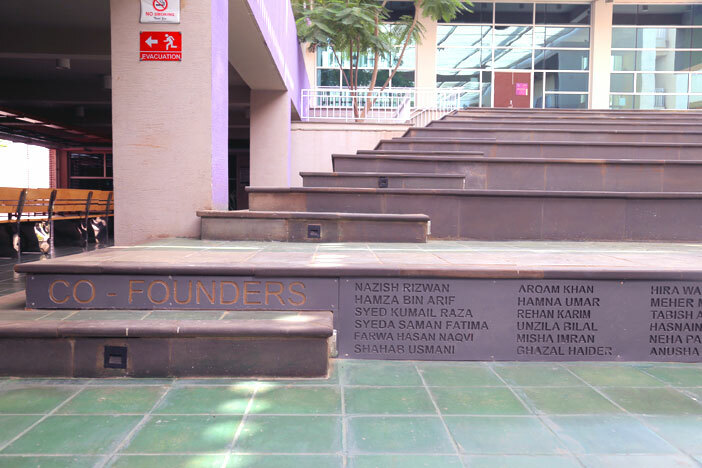 The Co-Founders hold the university, its faculty and staff close to their hearts and Habib University too honored its first graduating batch of students by engraving their names on the steps of the Amphitheater, which is located at the heart of the institution and is a space students have spent much of their time performing theater productions, musical nights and a host of other functions. The Co-Founders hold a special place, and Habib University will miss the energy that the first graduating class brought and looks forward to their bright future.